HCM City (VNA) - The U18 International Tennis Federation (ITF) Junior Circuit – BECAMEX Cup 2017 kicked off in Ho Chi Minh City on July 15. Co-organised by the HCM City Tennis Federation and the municipal Department of Culture and Sports, the event draws more than 100 players from 20 countries and territories, including China, Australia, India, Thailand, the Philippines, France and the United States. They are competing in men’s singles, women’s singles, men’s doubles and women’s doubles. 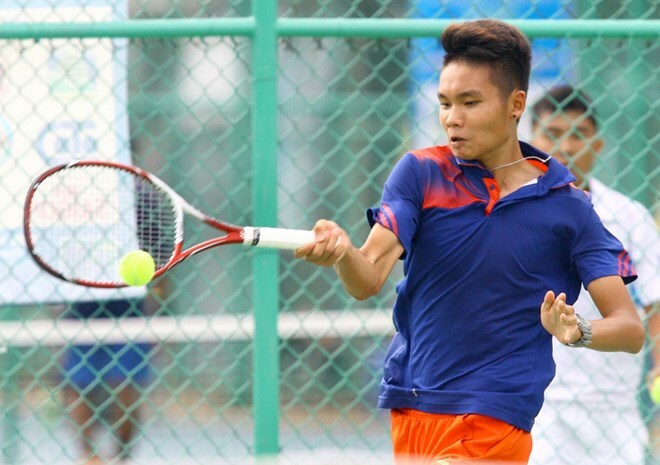 In the men's singles event, the No.1 seed is Filipino player Arthur Craig Pantino who is ranked the 255th in the world by the ITF, the No.2 seed is Chinese player Lu Pengyu, ranked the 467th, and the No.3 seed is Vietnamese Nguyen Van Phuong, ranked the 678th. As for the women's singles event, the No.1 seed is Indian player Shrivalli Rashmikaa Bhamidipaty who is ranked the 509th, while the No.2 and No.3 seeds are Che Yujiao (the 599th) and Jing Yang (the 706th), both from China.